Art105live often features student submissions. The original caption reads, “A trio and a triptych! Yume ’20, Danielle ’20 and Kayla ’20 pay a visit to the Mérode Altarpiece at the Cloisters.” Courtesy of art105live via Instagram. Art105live is one of the quintessential Vassar-related Instagram accounts that art lovers adore. Its bio links to the Art 105 course site, where students can readily access up-to-date materials for class. Art105live is also a key attraction and source of artistic edification and enjoyment for those who haven’t taken art history at Vassar. This week, we’re happy to get in touch with the curator of the account and learn more about the behind-the-screen effort of managing an art Instagram. 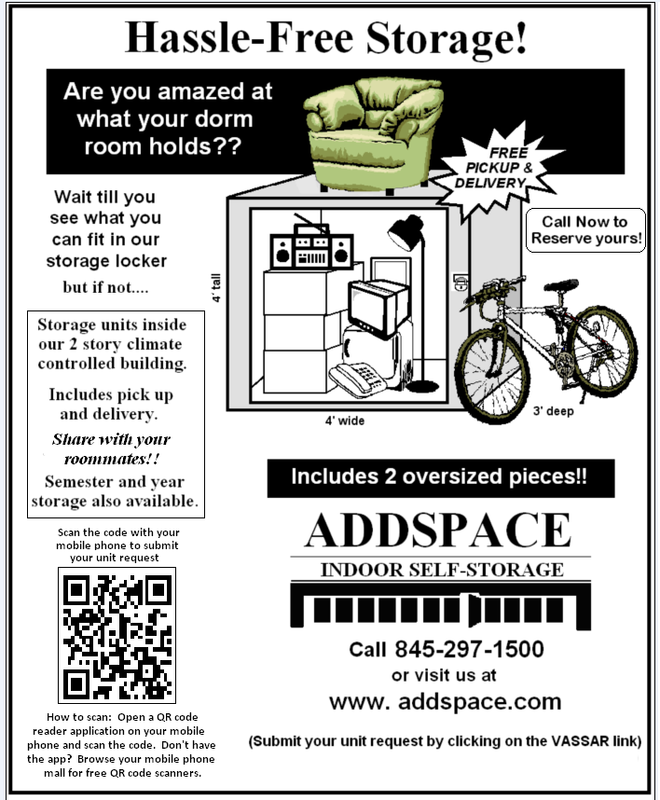 The Miscellany News: How long has art105live been alive? Art105live: The Art 105 Instagram account has been active since 2014, but Art 105/106 as a course has been around for 90 years as of this fall! As far as I know, the Instagram has always been run by enthusiastic art history students and Art 105/106 course interns. The Misc: What’s the account’s main purpose and target audience? Art105live: The account mainly promotes enrollment in and engagement with Art 105 and 106 and the Art History Department as a whole, but it is also set up as a platform for showcasing Department events and for student art enthusiasts to share their discoveries and passions. The Misc: Who’s mainly responsible for managing the account? Art105live: As the Art 105 course intern, I am mainly responsible for the account, but posts are very often crowdsourced from 105/106 students past and present. At its core, the account is really meant to be a place for students to share their love of art! The Misc: How do you design the posts? Art105live: Often, art history students and enthusiasts on campus—as well as many alumnae/i—submit posts from their art adventures, from summer internships and visits to their favorite museums to class field trips and snapshots from art history courses. Captions generally come naturally through the subjects and the submissions. I try to keep them short and sweet to let the images do the talking, since it is an art history account after all. The Misc: Do you have a favorite post? 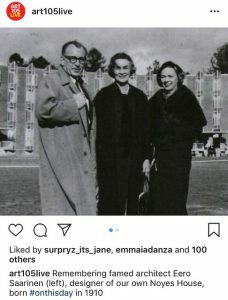 Art105live: I’ve only been running the account since the summer, but so far I’ve enjoyed the feedback from a post on the birthday of Eero Saarinen, the famous modern architect who designed Noyes. 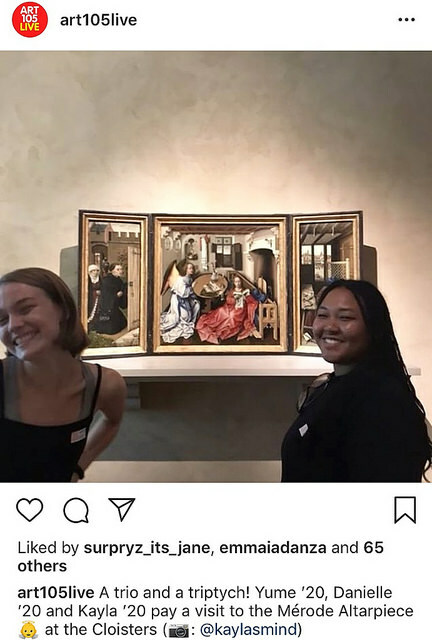 I also loved the post submitted by students who visited the Met Cloisters—it expressed a lot of the pure joy students feel seeing their favorite artworks they’ve studied in person. The Misc: Would you like to share an anecdote from running the account? Art105live: It’s always exciting when Vassar art history professors like our posts from their personal Instagrams. Art105live has also been featured in the introductory lectures in Art 105 in recent years as an example of the course adapting to modern technology and digital engagement with art, which is an interesting perspective and very gratifying. The Misc: What do you find most rewarding about your role? Art105live: I get to learn a lot about what other art history students are doing in their courses, personal visits, campus jobs, free time, etc., which is not only fun, but also a great way to further engage with a department I am extremely proud to be a part of. The Misc: Do you face any difficulties in running the account? How much of a time commitment is it? A typical post from the account includes a thoughtful combination of graphics and words in order to both inform and entertain. Showcased here is one of the curator’s favorites. Courtesy of art105live via Instagram. Art105live: Running the account is more of a perk of the Art 105 course intern position, since you can find a personal style in how you run the account while also engaging with other students and faculty. We’re always looking for new content to stay up to date with what Vassar art historians are pursuing, so we gladly welcome submissions by direct message! The Misc: How do you envision the future of art105live? Art105live: I imagine art105live will continue to evolve along with Art 105 and 106, courses that are ever-expanding. Hopefully the account will reflect students’ growing interests over the years, which shouldn’t be a problem since art will always be part of the human experience.